Strictly speaking, he calls Jodhpur his hometown, but the 34-year-old, who has been living in Mumbai for the last three decades, feels fondly for the maximum city. The City of Dreams must feel the same way about him; it has clearly given him its blessings. In other words, he is here to stay. His future looks bright and sparkly (like a star?) in the entertainment capital of the country. 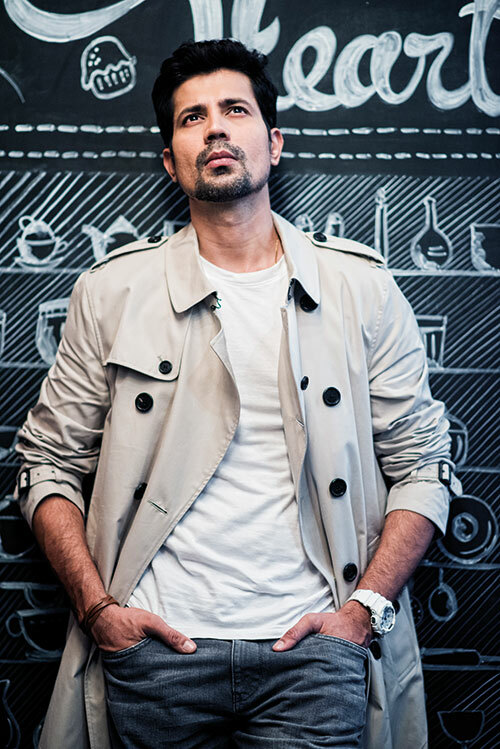 Sumeet Vyas may have only recently made his Bollywood debut as a protagonist in Ribbon late last year — where he finely held his own opposite Kalki Koechlin — but he is already a familiar face, thanks to his outings on stage, television, web and the big screen. If one had to pinpoint a turning point, it would be India’s very first web series, 2014’s Permanent Roommates, which made Sumeet a household name almost overnight. But, even in smaller roles, he has been memorable, and his work in films like English Vinglish (2012) and Parched (2016) has not gone unnoticed. On pursuing acting as a career, Sumeet quips, “I realised at a very young age that I’m an excellent liar, and that I thoroughly enjoyed the fact that people believed all my stories.” He notes that he found his calling when he went to watch a play, at Prithvi Theatre at the age of 17. We tell him that we dig his screen presence as well as the tension-packed scenes between Koechlin and him in Ribbon, only to have the well-mannered young man brush the compliment aside lightly. He doesn’t get “this chemistry business”, he says, attributing it to “being present in the scene” and having a certain amount of trust in the co-actor.